When the north wind doth blow, we shall have snow', so the poem goes. While others just say 'it's cold up north'. Whatever way you look at it, the nights are longer and the days are colder so here are my twelve winter warmers for you to see or do in Newcastle this year to help make your December Days (and January too) a little brighter. 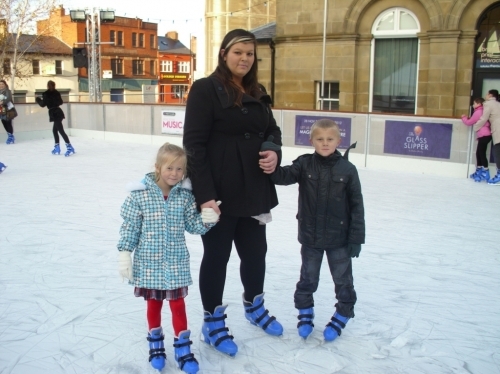 If you're feeling energetic, or fancy a day out with the kids, why not try some outdoor skating? For several years now the Centre for Life in Newcastle have had a seasonal ice rink just outside its premises overlooking the River Tyne in Newcastle. No need to book, just turn up and skate. A range of Family, Adult and Child ticket prices are available and can be combined with a visit to the Science centre to discover their exhibitions. The rink is open from 9th November 2013 – 23rd February 2014 and there are often competitions (just ask my grandkids) to enter as well as stunning exhibitions and 4D adventure Sleigh Ride Through the Ages to explore inside. For a full list of prices and combinations please visit the website. Santa Claus often takes time out from his busy schedule to visit the North East at Christmastime. Here's a couple of places you just might catch him on one of his visits. Centre for Life Santa's Grotto returns for 2013 in The Young Explorer's Zone atLife Science Centre Newcastle between Saturday 7th December 2013 until Saturday 21st December 2013. So why not pop in and see Santa while you're there skating or enjoying the exhibition? Ticket Prices: Normal admission charges apply plus a £2 charge for Santa's gift. Or you can visit Santa's Grotto at the Metro Centre where there's a chance to win a family holiday to Lapland if you correctly name the reindeer of the North. Each child will receive a Narnia gift when they come to see Santa's Grotto at the lower Qube for free at Metrocentre Gateshead. Loads of free parking for mum and dad and the shopping mall is well served by buses and the local rail network. How to get there. Seeing Fenwicks' window is a family tradition for many a northerner and it's just been announced that it's now open. Fenwick's is a prestigious department store in Northumberland Street in the centre of Newcastle. It was founded in 1882 by J.J. Fenwick and still sells many luxury goods to the discerning customer. This year there is a 'Christmas Village' on the 2nd Floor, with everything you could need for the festive period from Christmas trees and lights to luxury foods for you to savour. For as long as I can remember Fenwick's have delighted children and adults alike with their Christmas window displays. Every year from November until after the Christmas period a little piece of winter wonderment appears as a masterpiece of animated characters and props are set to music and brought to life. Often with a theme such as 'Santa's Workshop' or a scene from 'The Nativity', the event is eagerly awaited by locals and visitors alike. This year the theme is the 'Enchanted Forest'. In cities, towns and villages all over the North East outdoor and indoor Christmas Lights adorn our region. Christmas trees arrive from Norway to grace our town centres and shops are all aglow, enticing customers to come in a take a look. And nowhere more so than Newcastle city centre where a guest celebrity is usually on hand to perform the 'switch on' and press the button. This year former Newcastle United legend Steve Harper will be on hand to do the honours. Long serving goalkeeper Steve has just raised over £300,000 for charity in a recent testimonial match between former NUFC stars and a whole host of former Inter Milan players to commemorate his retirement from the spotlight. Lights will be switched on at 5.30pm on Thursday 21st November 2013 when Steve will be joined by Capital Radio presenters Bodg. Matt and JoJo in Grey Street Newcastle to light up 'The Toon'. If you have youngsters in your family, try and get along to see them in their school or nursery Nativity play. Christmas is a time for children so whether you're a parent, grandparent, guardian, aunt or uncle see if you can go, along and see the excitement on their faces. If guest numbers are limited at your child's school, you might always get a chance to see them singing in a shopping centre or mall such as Eldon Square, bringing their school concert to the public. It always makes me smile. Oh! Yes it is. 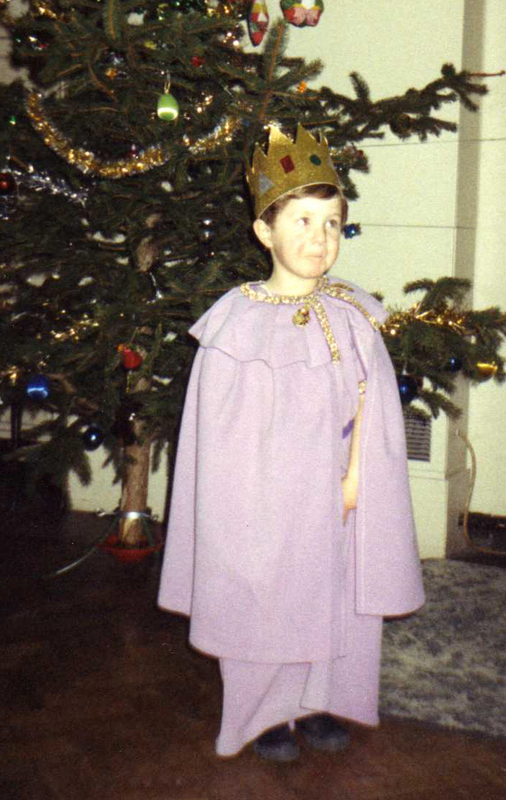 Once again it's that time of year to enjoy the British tradition of Pantomime – where boys play girls and vice-versa. Based on classic fairy tales with a twist, the pantomime dame (usually played by a man) provides the comedy in a combination of scripted and ad-lib frivolity where the audience are invited to join in. Songs from the charts and spectacular costumes delight young and old and theatres all around the country attract the stars of stage and television to play their part. From Prince Charming to Fairy Godmother, Ugly Sisters and Wishy Washy, Christmas wouldn't be the same without Panto. 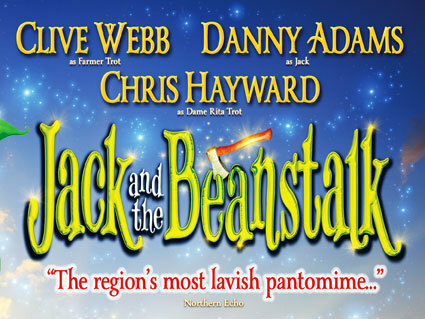 This Year The Theatre Royal in Newcastle present 'Jack and the Beanstalk' with a whole host of characters and runs from 26th November 2013 - 18th January 2014. 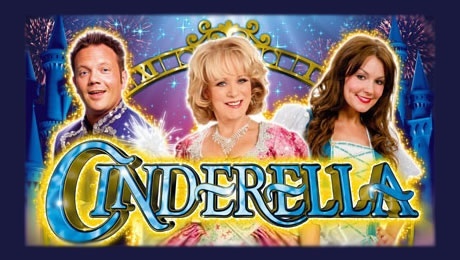 Or if you popping over to Wearside you can see 'Cinderella' at the the Sunderland Empire where actress and 'Loose Women' presenter plays the Fairy Godmother. The panto runs from Friday 13th December 2013 to Sunday 6th January 2014. Tickets start at £11.90 and there is a transaction fee. If you can't make one of the big productions, many other smaller theatres and venues also put on a production too. Join a choir or join in with one if you are out and about. I joined the Silver Singers a couple of years ago and it's surprising how uplifting it is to sing with other people. The Silver Singers are part of a organised outreach programme run by The Sage Gateshead at venues across the North East for people over fifty. They also offer different types of group singing such as Gospel and Divas and classes on learning some musical instruments. In the run-up to Christmas The Sage holds a 'Big Sing' for members of the various groups, so we can all get together and sing in our hundreds. The venue is pretty stunning too. 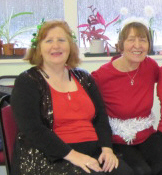 As a spin-off, we are occasionally invited to sing at other gatherings such as church halls and community groups. No audition necessary and it's a great way to meet new people. Aside from that, our local pub had a carol singing evening last year. Much more up my husband's street. He could actually have a beer while howling away to 'We Wish You a Merry Christmas'. If you like a bit of traditional shopping, with hand-made goods for you to browse while Jack Frost nips at your nose, then you'll love a Christmas Market. With local foods and beers, cakes and chocolate, this year's market runs from December 4th - 8th in Grey Street, Newcastle. Meanwhile, gourmet foods abound in the shape of a Continental Market. Northerners have become quite savvy in choosing their chorizo or sampling a selection of Continental cheeses. With food from Germany, Holland, France, Spain, Italy and more, the open-air Continental Market has been adding different flavours to the traditional Christmas table for several years and brings a burst of Continental colour to the streets of Newcastle while giving chilly shoppers the chance to taste the likes of sweet and savoury crepes served hot in paper cartons or Bockwurst sausages designed to out-do any hot dog. Newcastle Christmas and Continental Markets open in Grey Street from 15th - 30th November 2013. Sometimes Xmas shopping is a chore but sometimes it's great just to go and see the decorations and shopping malls all aglow and join the hustle and bustle of city life. Eldon Square in Newcastle and MetroCentre Gateshead are a great way to feel festive and being two of Europe's larges shopping malls, it's a great way to stay out of the cold while you're whittling your way through that shopping list. The lights and delights of Northumberland Street should also be on your shopping list, with all the major high street stores right in the centre of the city. Grab your coat and hat and get wrapped up for the Newcastle/Gateshead Winter Festival with events and exhibitions, markets and a NYE street parade and fireworks display to get you into the festive spirit and warm your winter. Visit the artists and artisans quarter at the Ouseburn in late November for some original stocking fillers when artists open their studios to sell their wares in all kinds of original art and design. There's everything from ceramics and sculptures to paintings and furniture, jewellery and glassware. Christmas Markets and Enchanted Parks are all part of the festive attractions and don't forget the NYE party on the Quayside. 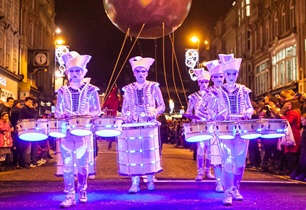 Here's the low-down on the Newcastle/Gateshead Winter Festival 2013. Christmas wouldn't be Christmas without the odd 'do' to go to. Whether it's the annual office outing or you're a member of a club or group of like minded people that share their interests and hobbies, or simply want to get together with a few friends, there's always loads on offer. Nowadays, Christmas parties have become big business for many hotels as they offer party nights consisting of sumptuous meals, entertainment and even a chance to stay over and save on the taxi fare with special offer discounts if you do just that. The Millennium Copthorne Hotel on Newcastle Quayside offer party nights and stopovers at very reasonable prices and does the Thistle Hotel Newcastle, just across the road to Central Station. So you can have a ball without worrying how to get home at the end of the night. This year I'll be joining other ladies from my Dancercise group for Christmas Lunch at The Sea Hotel in South Shields, where they also have a range of Christmas lunches and party nights, including NYE on offer. Chinese New Year has become a regular event in the Newcastle upon Tyne seasonal calendar and this January is no exception. Based on a lunar calendar, New Year in China always falls in January or February and is represented by different animals in the Chinese zodiac. Chinese New Year 2014 falls on January 31st, with local businesses once more combining to usher in the Year of the Horse. 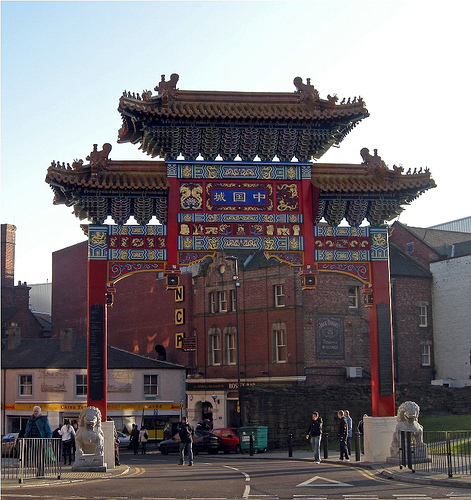 Celebrations usually take place on the Sunday nearest to the actual date and in recent years festivities have included children performing Dragon and Lion dances, lessons in Chinese calligraphy and exhibitions of Chinese food, clothes and arts and crafts at the North East Chinese Association building in Stowell Street, Newcastle. 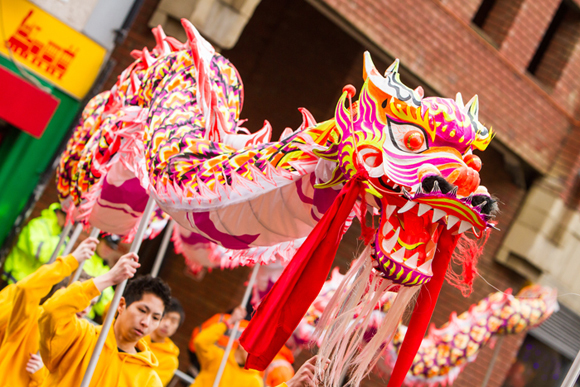 For more information see NewcastleGateshead Chinese New Year Celebrations. And finally, have some time with your family and friends. As the wife of a seafarer I know a bit about spending Christmases apart.